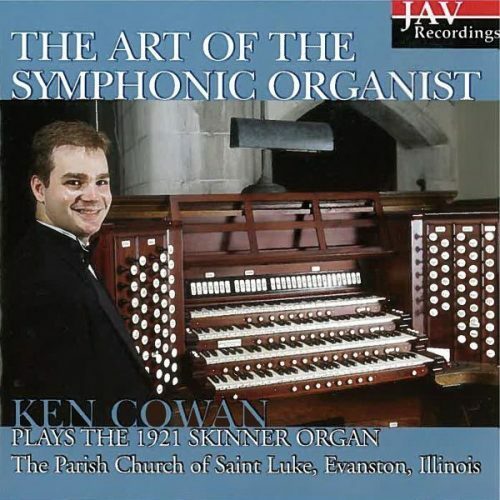 Recording of pipe organ built by the Aeolian-Skinner Organ Company at St. John’s Evangelical Lutheran Church in Forest Park, Illinois. Eric Wm. Suter, Organist. Erik Suter lets the music and pipe organ speak for themselves in his performance on the pipe organ at St. John’s Evangelical Lutheran Church in Forest Park, Illinois was built by Aeolian-Skinner as its Opus 1235. The pipe organ, completed in 1954, was personally finished by G. Donald Harrison who called it “a golden opportunity to build an instrument that was entirely suited to the Lutheran Church.” Its incisive foundations, bright mixtures, pungent mutations, and exposed organ pipes are evidence of Harrison moving towards the historicism being promoted by E. Power Biggs and Walter Holtkamp at the time. Bach’s “Toccata, Adagio and Fugue,” three settings of “Nun komm der Heiden Heiland,” and a set of variations by Johann Sweelinck find a sympathetic partner on this pipe organ. Works by Dupré, Duruflé, Tournemire, and Vierne resound with appropriate éclat. This recording comes with extensive documentation: an essay about the pipe organ, notes on the music, stop list and numerous photos. Erik Suter, served as Organist at Washington National Cathedral in Washington, DC. He holds degrees from Oberlin Conservatory and Yale University, where he studied with Haskell Thomson and Thomas Murray, respectively. Previously, he held positions at Trinity Church, Copley Square, and at the Parish of All Saints, both in Boston; and at Trinity Church-on-the-Green in New Haven, Connecticut.